The 14kt yellow gold Triplet ring features three simulated baguette stones [4x2mm]. 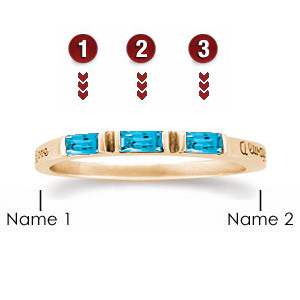 Engraving areas 1 and 2 fit up to 12 characters. Ring measures approx. 2.35mm at top width, 1.65mm at palm width. Import.